Online reservation required. Reservation recommended 48 hours in advance. For Shenandoah river tubing, must be 5 or older and 50 lbs. For Harpers Ferry Whitewater Tubing, must be 12 or older and 90 lbs. Must wear shoes, not flip-flops. Coolers not permitted with Harpers Ferry Whitewater Tubing. 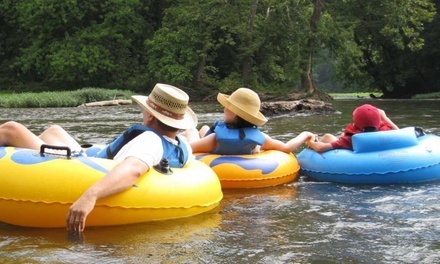 Taxes of 6% for Shenandoah river tubing, 11% for Harpers Ferry Whitewater Tubing + $2.50 user fee /person must be paid in full at the time of reservation. Deal is available May 27 to Sep 15. Black out days are July 4-7, August 31, and September 1. Saturdays from June 29-August 17. Subject to river water level and availability; merchant runs rain or shine. Must sign waiver. Limit 1 per person, may buy 1 additional as gift(s). Limit 1 per visit.